Editor's note: Today we hear from Chris Shirer, President and Chief Strategist of the digital brand management agency Madison + Fifth. 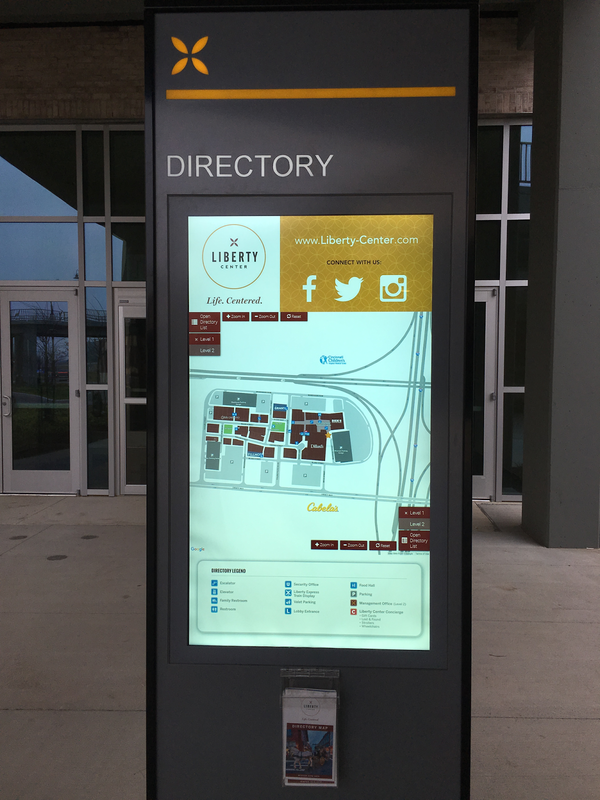 Read how Madison + Fifth and Google Maps for Work Partner Woolpert used Google Maps APIs to build an interactive kiosk and mobile apps for the 60-acre Liberty Center mixed-use shopping center. When the Liberty Center retail center outside of Cincinnati approached us to provide accessible, intuitive wayfinding for visitors, we saw the opportunity to create something unique — not just a standard kiosk and printed directory. The center includes shopping, restaurants, a hotel, offices and luxury housing, so we wanted to make sure visitors could get around quickly, especially during busy times like this past holiday shopping season. We decided to build a solution that would work on touchscreen kiosks and mobile devices to detect visitors’ locations and give them interactive walking directions in real time. We chose Google Maps and Google Maps APIs to do it because Google offers a familiar interface for our customers, lets us layer custom information on top of maps and provides a platform that will allow us to add new features, like delivering relevant, location-based ads. We worked closely with Google Maps for Work Partner Woolpert to build the solution. Woolpert not only helped us with licensing information, but also did the programming based on our design and requirements. We started building the app before the Liberty Center was finished and opened to the public, which meant that Google didn’t yet have mapping information for the center’s streets and stores. We solved this by building a layer with the required information on top of the map. In addition, we had no routing information, so we built an algorithm to provide directions using open source Google Optimization Tools. Liberty Center opened its doors on October 22, 2015, and thanks to Google Maps, we’re now delivering an engaging, interactive experience for visitors. People who walk up to the kiosks or use the Web app on their smartphones get customized walking directions based on their current location, and can zoom in and out around the property to explore shops and other destinations. Liberty Center shoppers can spend less time getting from place to place and more time in stores and enjoying time together in restaurants.